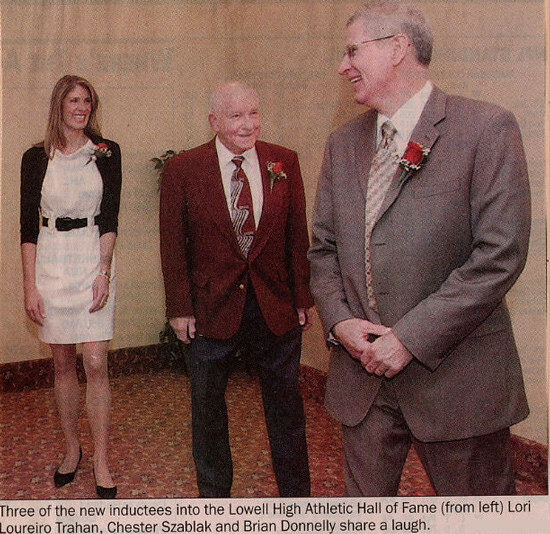 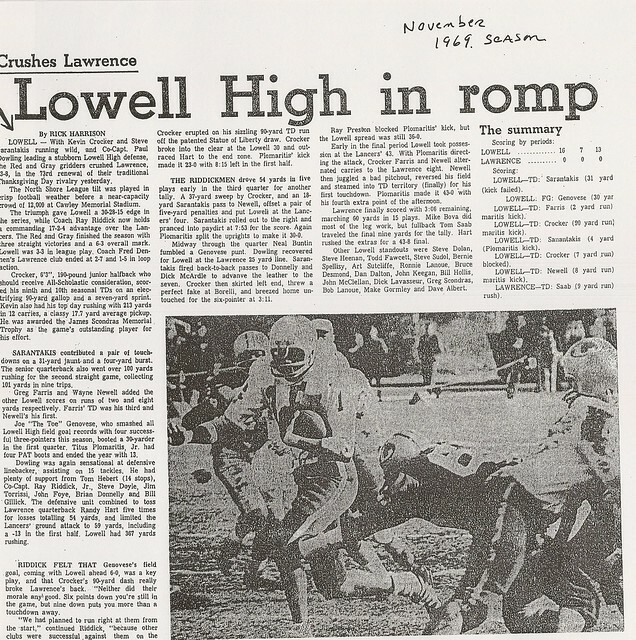 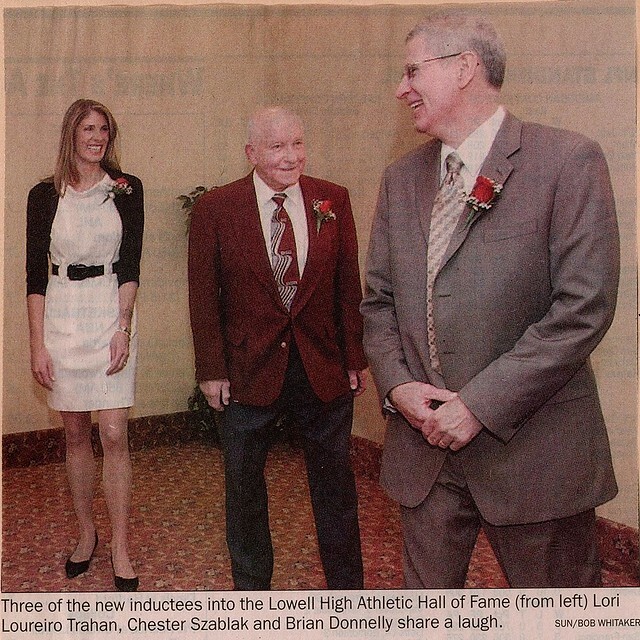 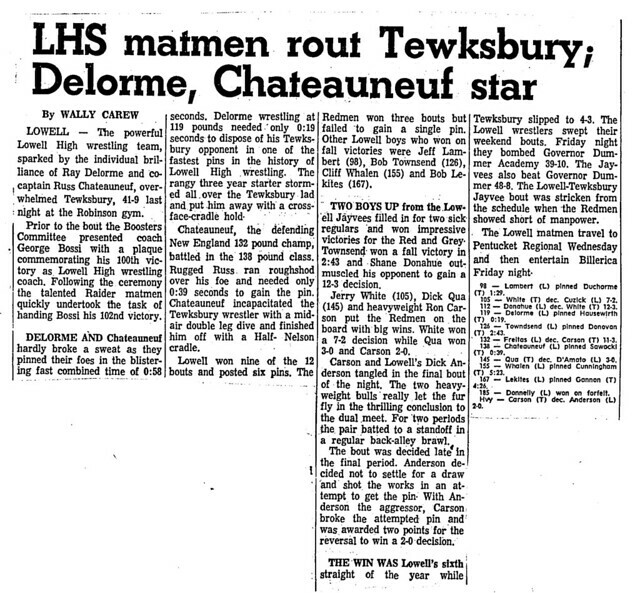 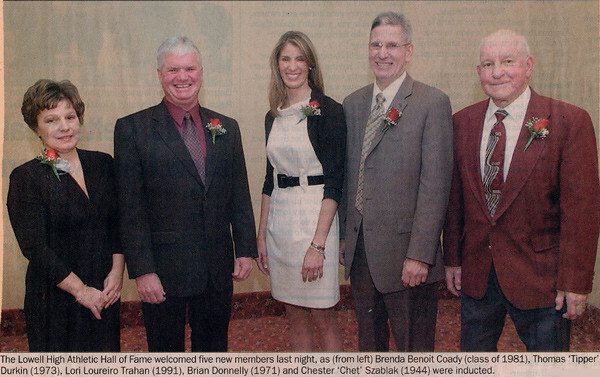 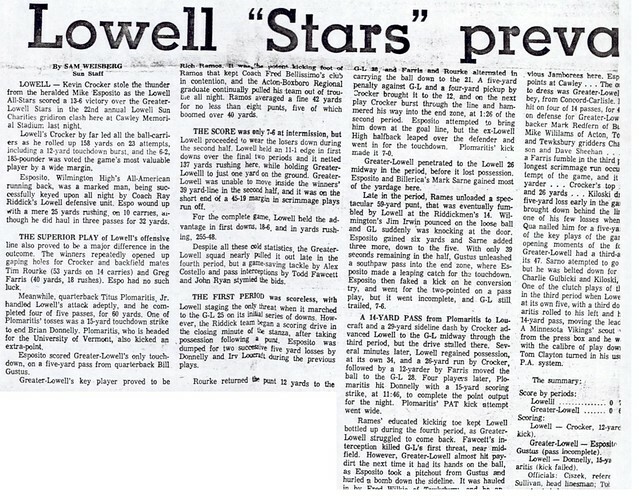 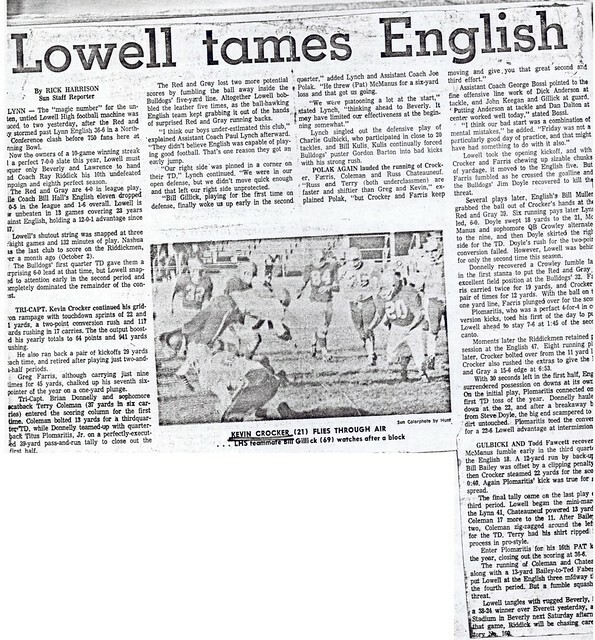 Working under the tutelage of two legendary Hall of Fame coaches, Brian Donnelly earned a niche as one of the most outstanding athletes of the 1970’s at Lowell High School. 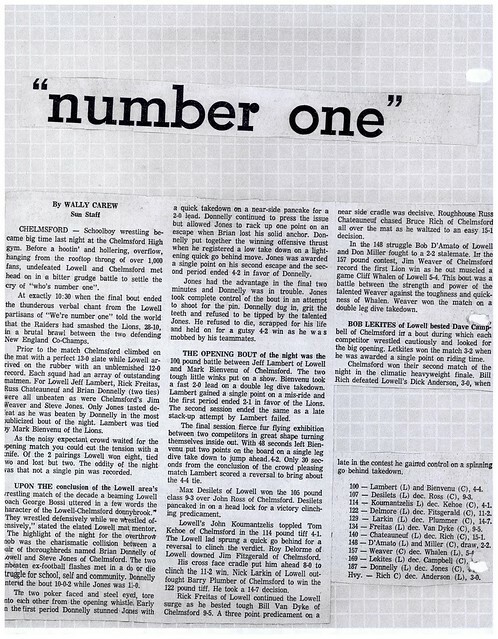 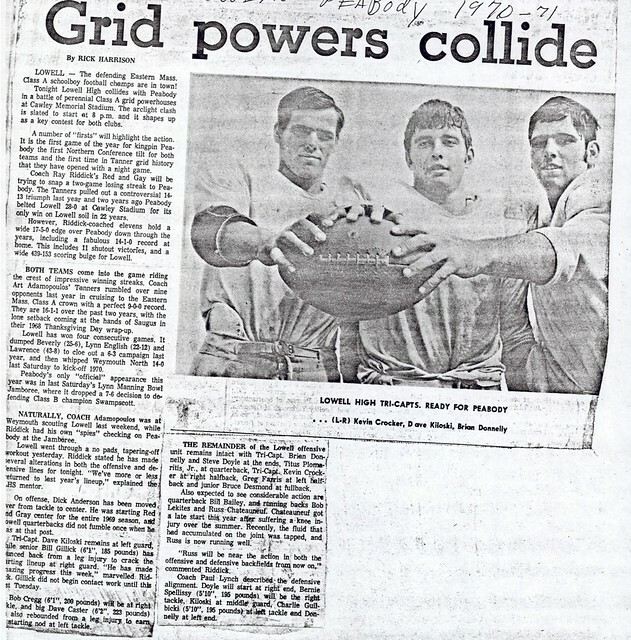 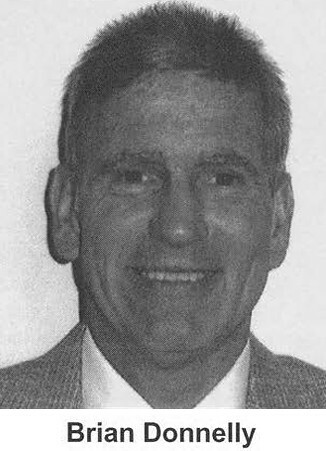 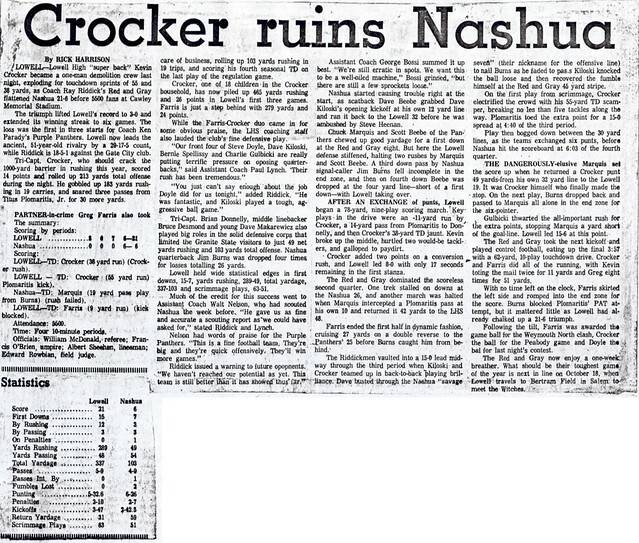 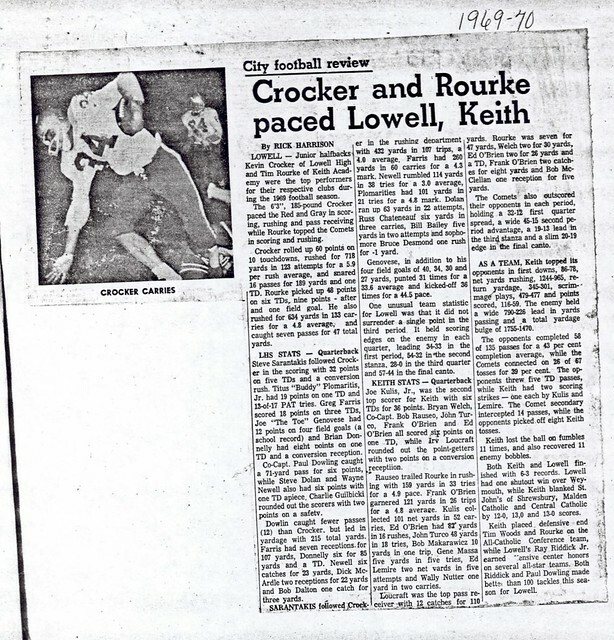 Brian was a standout 2-way starter at tight end and middle linebacker for Coach Ray Riddick’s football team during the 1969 and 1970 seasons, combining with classmate and fellow Hall of Famer Kevin Crocker to lead the Red and Gray to an undefeated State Championship season during the 1970 campaign. 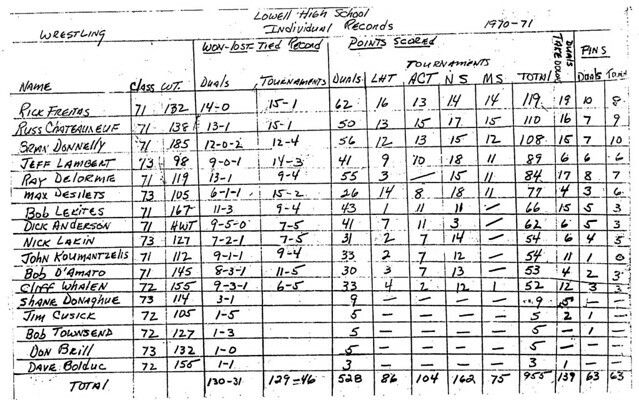 Brain was a team tri-captain for the Raiders. 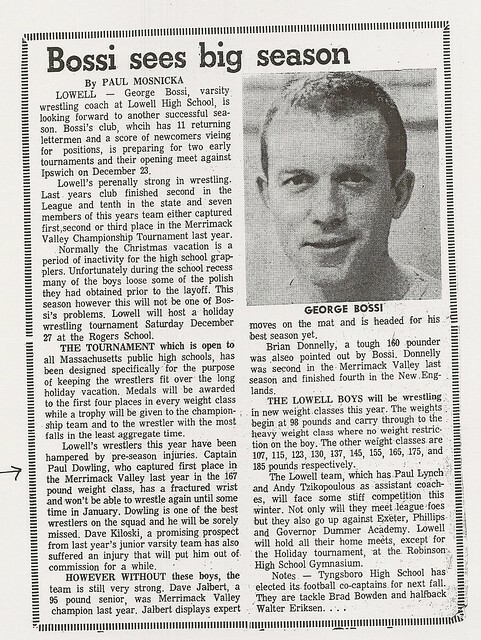 During the winter season Brian turned his attention to the mat as a three-year performer for Coach George Bossi. 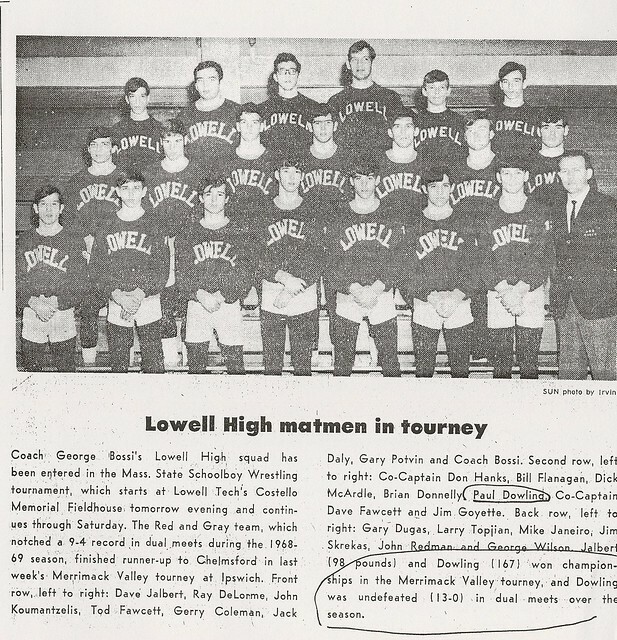 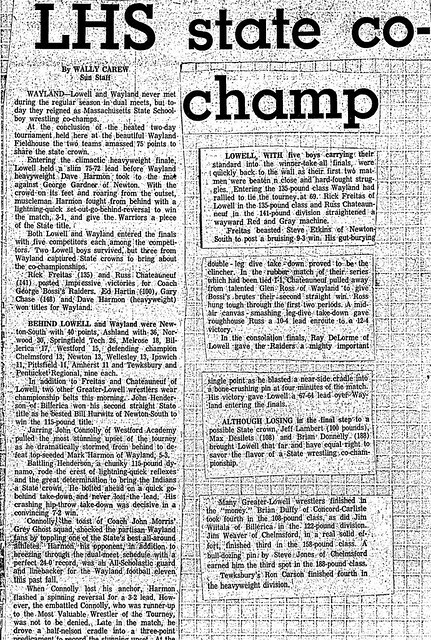 During his junior year (1969-70) Brian won individual championships at both the Amherst and Lowell Holiday Tournaments. 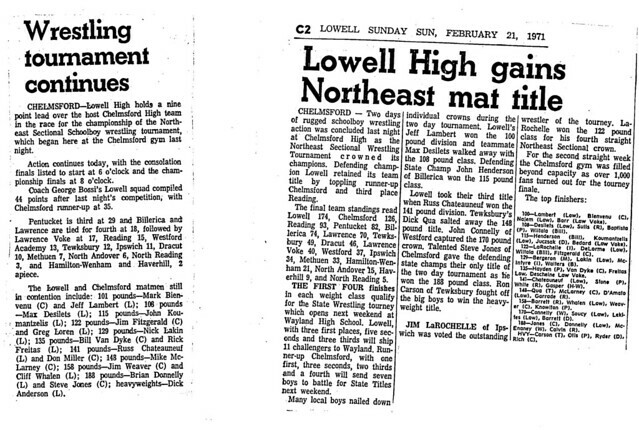 He captured the Northeast Sectional Championship and was runner-up in the State Championship at 188 pounds. 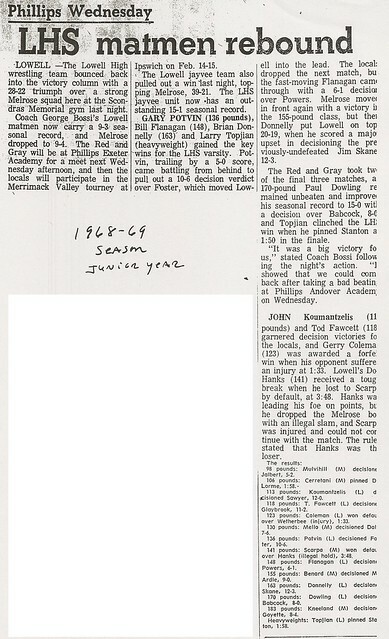 During his senior season (1970-71) Brian, a team co-captain, compiled an overall record of 24-2-2. 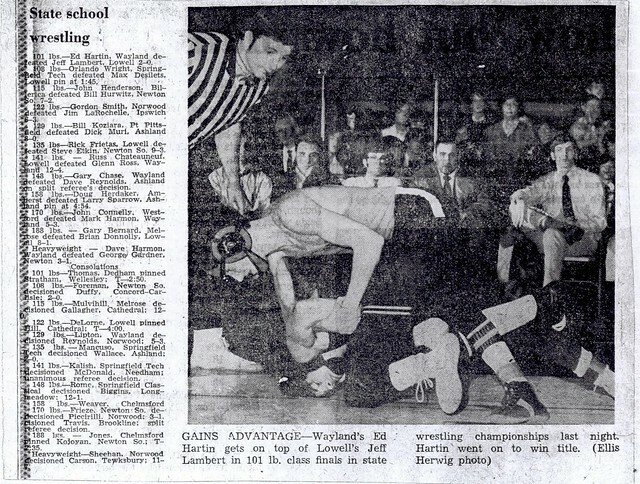 He recorded runner-up finishes at the Amherst and Lowell Holiday Tournaments and equaled those performances with 2nd place finishes at both the Sectional and State Tournaments. 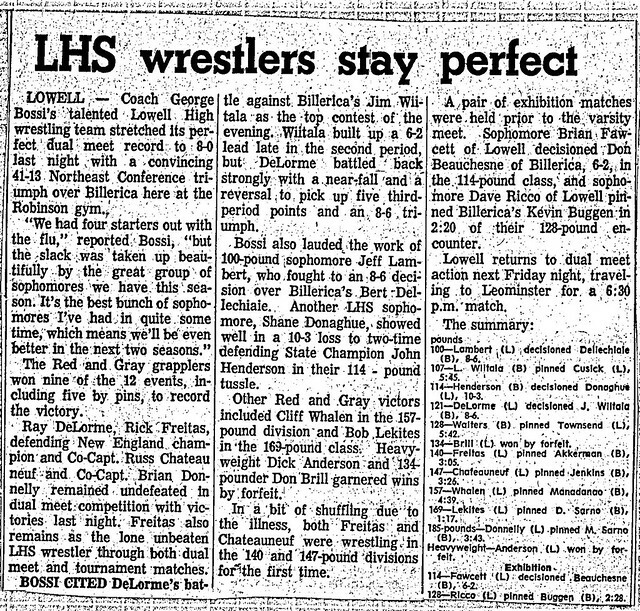 Brian’s efforts helped the Raiders win a share of the team State Championship with arch-rival Wayland. 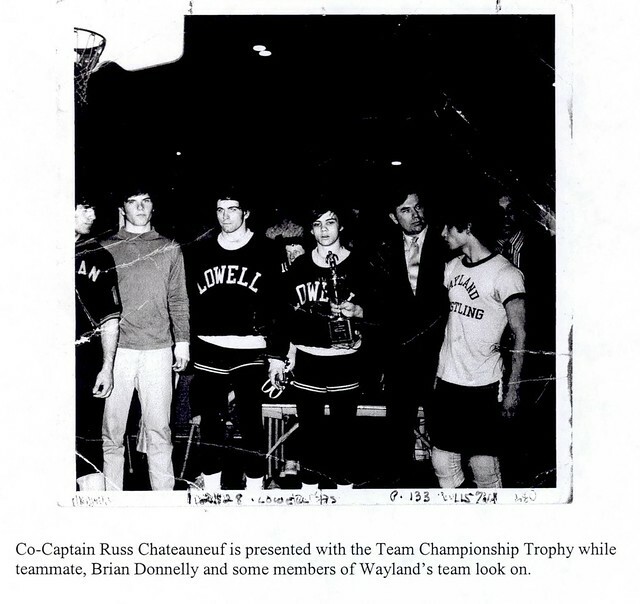 Brian earned the rare distinction of being a team captain of State Championship teams in two different sports at Lowell High School. 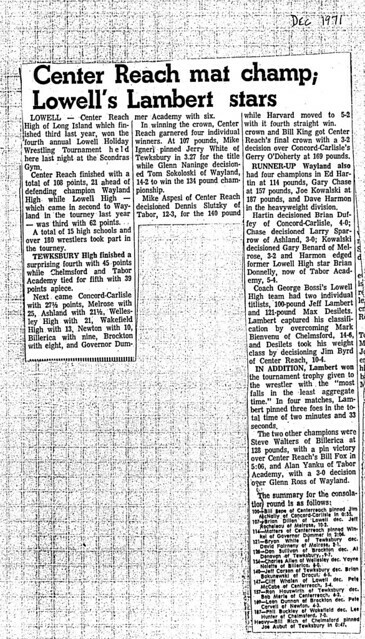 After graduation Brian attended Tabor Academy where he again was a two sport standout. 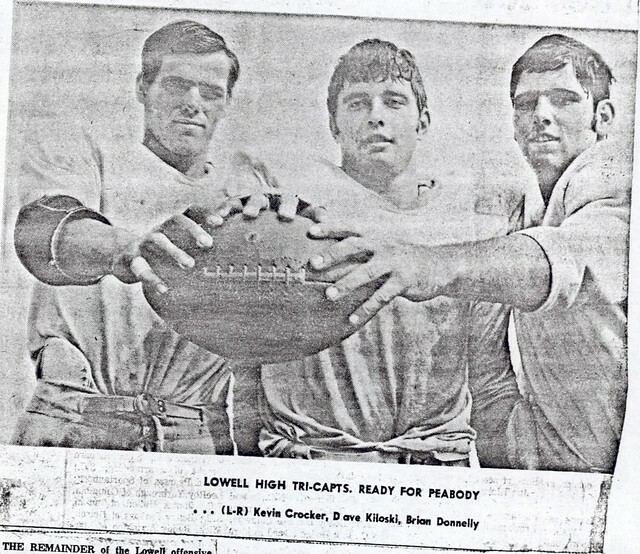 He won the football team’s Outstanding Lineman Award and was New England Prep Class A Championship runner-up as a member of the wrestling squad. After Tabor Brian attended Boston University. 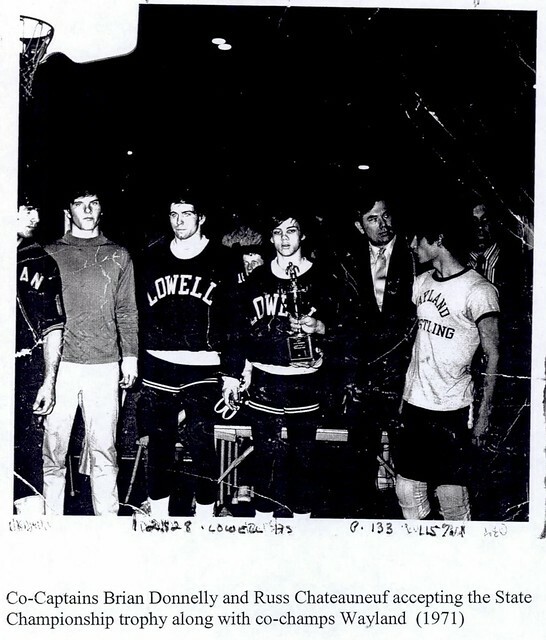 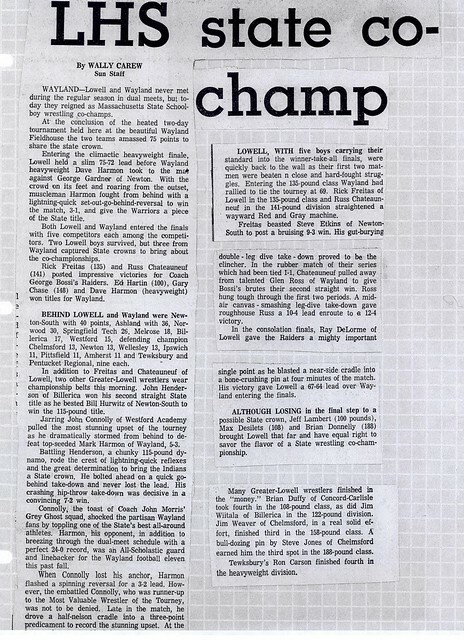 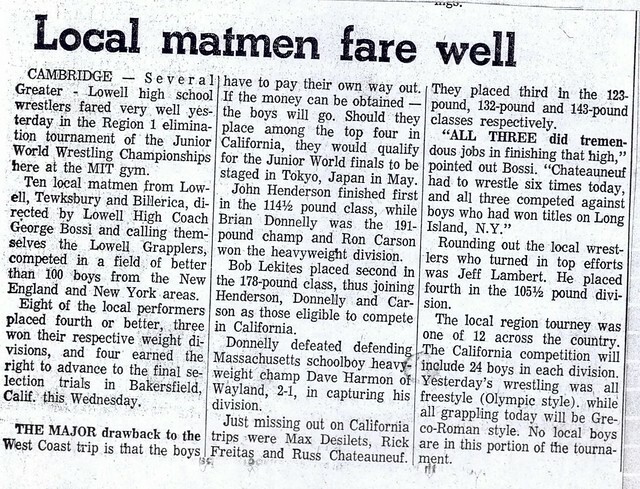 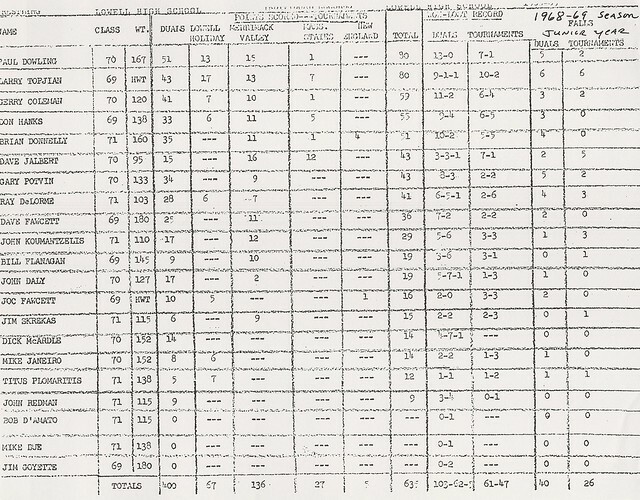 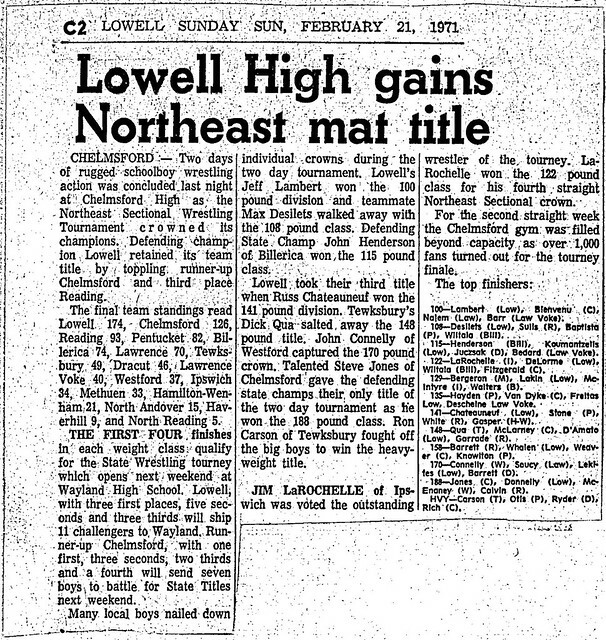 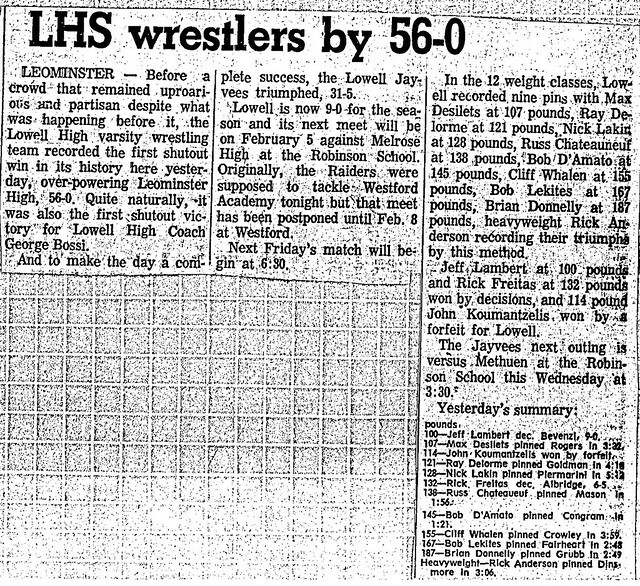 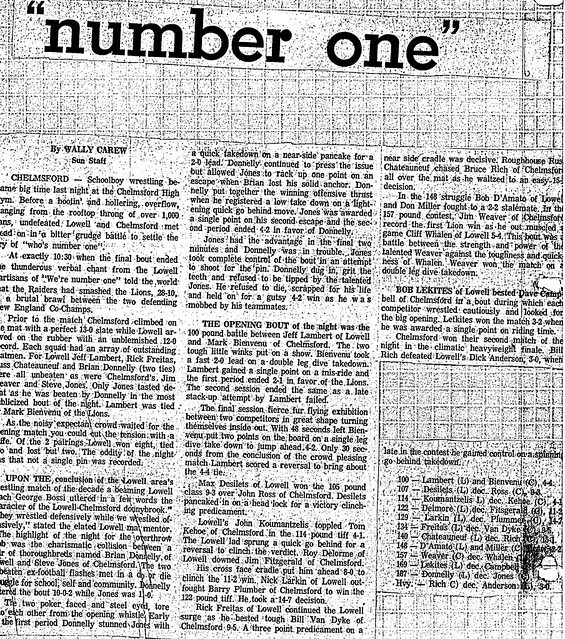 During the 1972-73 season, competing in the heavyweight class, Brian recorded a record of 10-0 with 8 pins before earning runner-up honors at the New England Wrestling Conference Championship. 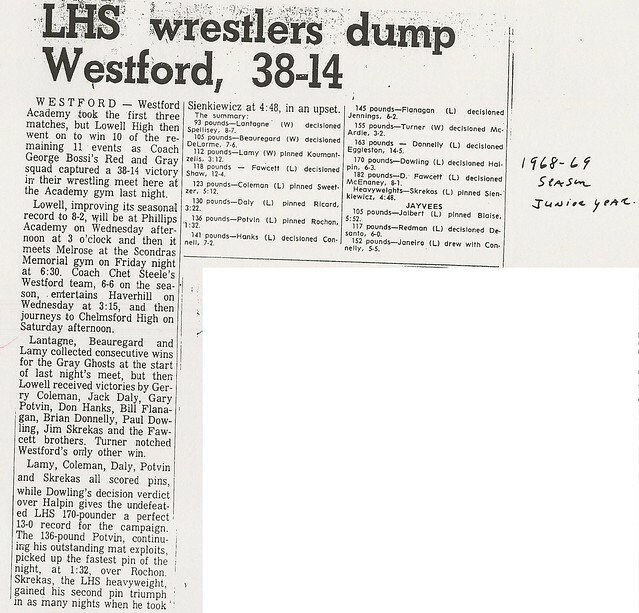 In addition to Coaches Riddick and Bossi and fellow football teammates Kevin Crocker and Ray Riddick, Jr., Brian joins wrestling teammates Rick Freitas, Russ Chateauneuf, Jeff Lambert, Max Desilets, and Cliff Whalen in the Hall of Fame.